I am delighted to have received the Kranichsteiner Music Prize at this year’s Darmstadt International Summer Course. While I’m currently still a bit overwhelmed, this is a real honour and I’m truly thankful to the jury for their support. I’d like to also congratulate the other prize winners Sara Glojnarić, Martin Hirsti-Kvam, and Carlo Siega. 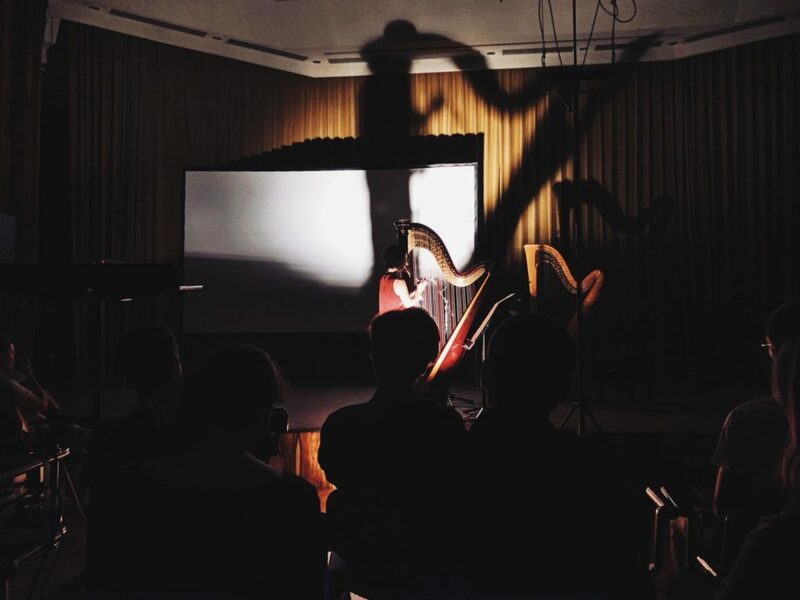 I want to make particular special thanks to the people who brought my music to life in the festival: Rahel Schweizer who played o horizon, gloa on the forest floor for solo harp, and Nate Chivers and Thilo Ruck who both worked on my guitar etude polynya, or ever less. Without their hard work and trust none of this would have happened, and I can’t overstate how much of a privilege it was to work with them throughout the festival. I also want to thank Yaron Deutsch, Gunnhildur Einarsdóttir, Martin Iddon and everyone in the Harp workshops for their amazing support. You can read more about the prize here, and yes, there’s a reason why I’m not in the picture. I’ll tell you about it at Darmstadt 2020.